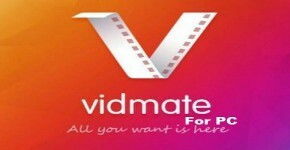 Friends in this article you will go to know about best android emulator which is YouWave. 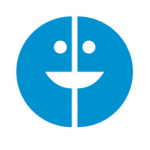 I have completely described how to download YouWave for windows 8.1 PC and windows 8, 7 and YouWave for laptop. 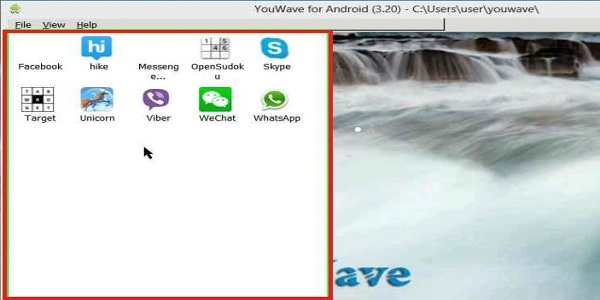 I have published before article on how to download WhatsApp for PC and how to save contacts on YouWave android emulator. We have to say special thanks to YouWave developed company and for its developers made such tremendous, wondrous and helpful application for Windows PC to run android applications on our PC/Laptop. 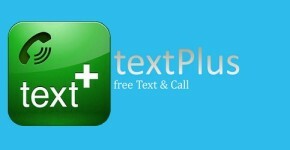 NOTE: we can use it 10 days for free on trial version. Afterwards we have to buy it to get the full version of YouWave android emulator. If it is OK to you, you can continue with this software. But if you equate it with Bluestacks, YouWave doesn’t make any problems. While installing of Bluestacks, you may face graphic card error 25000 with your windows PC. Run Bluestacks on your PC by fix Bluestacks graphic card error 25000 by updating graphic drivers. It helps you to get enjoyment from favorite android applications, social communication apps like WhatsApp, Viber, WeChat, Hike messenger and android games to play on windows PC or Laptop. 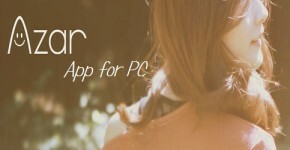 If you downloaded this software, you can make and use your windows PC as android smartphone. What are the features you are using on android phone, you can do the same thing on windows PC/Laptop with the help of this application. You can see in the public everyone has started to use android phones. Why this people are that much of crazy over android means, it is allowing many new features. Most of the educated people are giving the first preference to use android phones. Compare using of android phones in between educated & non-educated people, uneducated people are giving challenge to use android phones. Nowadays android smartphone are becoming more general, because of this, developing of android application also increasing in an exponentially manner in a day. If you want to know what the function of that app in a phone, then use it and check the function of those applications before installing them on android. It is offering users to utilize the android operating system on the monitor of their windows PC or Laptop, it allows equal to the android phone exclude the chance to phone calls. It is allowing Screen rotation, rotate it as you like. Operating of this emulator on laptop is a very easy process. Make some basic changes to it, like screen rotation and some other. Install required android applications on PC using this emulator from Google Play store. 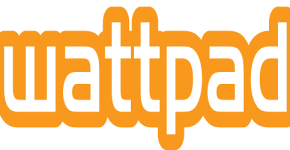 You can download this software from its internet verified site. The file which I was downloaded it has size around 143MB. CPU: No problem if your system has inside Intel Pentium processor with speed 1.6GHz or it can be more. RAM: Your PC RAM can be 1GB or 2GB, no problem if it is more. Disk Space: Minimum 500MB needed. While installing of this software windows firewall will ask you to allow permission for YouWave to get at internet. Allow permission on private networks and public networks. If you do not grant permission, you will not see that emulator on your laptop. This emulator is offering a broad different types of settings to the users. On our windows laptop we can able to see android smartphone interface and also you change it as tablet interface. Do you want to check android applications, for that use this applicaton, it works well. In emulator at left top corner, we can see File option. Under file option we can see Restart Android. It will show you different screen resolution size, select which is comfortable to you. If you selected any resolution size and then you restart, emulator will open on that resolution. If you want to open YouWave as a Mobile or Tablet view, it depends on your selected resolution. If you want to install APK files on it application, first download the APK files from android market or Google play store and run them. Follow below steps to open apps on emulator. Catch the menu bar or top bar in the application. Go and directly put the desired APK files on given above address. Open the software to see that app. Find the option “view”, below it you will see “Redraw Icons”. 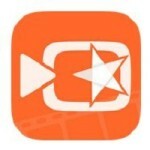 Later you can see the icon of that android application in the YouWave. Importing of APK files has done on emulator, you need to install them for that see the below steps. Next to this, it will show you a new panel to the left side with all imported applications. Give the work to your fingers, just make double click on the apps icon. Wait for little time to see them on this software. Now tap on that app and use it simply as like your android smartphone. The better performance capacity of the YouWave depends on your windows PC hardware availability and reactivity of your system. If is it slow means, it may attacked by virus, so use any best antivirus and increase your system performance along with enhance the speed of this software. Friends that’s it all about YouWave. 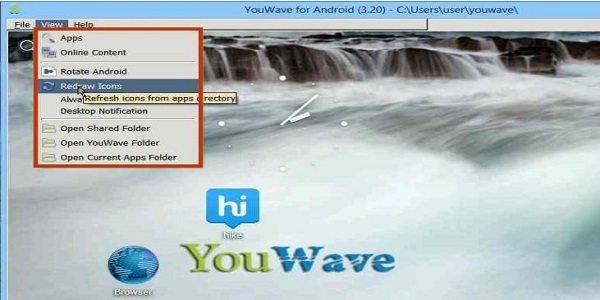 We have seen how to download YouWave for Windows 8.1*10*8*7 PC/Laptop and how to run android applications. If any mistakes or any changes required to this page, you would inform us, definitely we will help you.